Home / Festival through time / Festivals 1966-1889. Festival in time period 1966-1990. 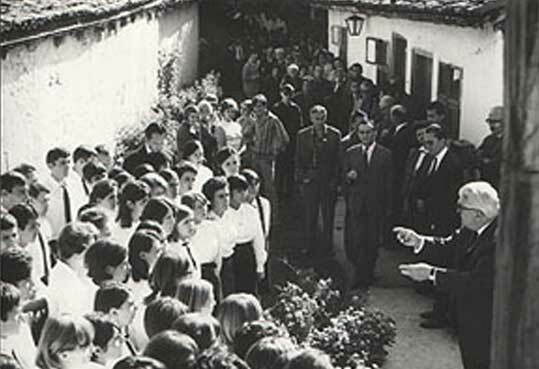 The I Festival “Day’s of Mokranjac” was held in the yard of composer’s birth house in Negotin in September 1966, which was for that occasion renovated as the commemorative museum “The House of Mokranjac”. 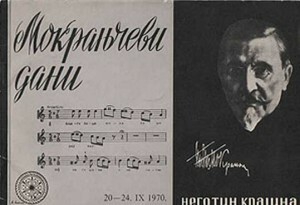 The basic idea of the Festival was to show appreciation for the composer through music but also to encourage creative forces of contemporaries who are working in areas in which Mokranjac was famous or only indicated them. The first established ideas and goals are kept until today. The founder of the festival was the Negotin town parliament. The Organisation committee was responsible for its preparations. The first festivals were by time and by contents in close relation to the famous Negotin fair, one of the oldest and biggest fairs in Serbia that lasted for three days from 21st to 23rd of September. The I and the II Festival can be marked as the initiation because practical solutions and forms were looked for in order to make this new cultural and tourist manifestation more appealing for the population. The programme was almost absolutely balanced between clearly musical and folkloric performances. 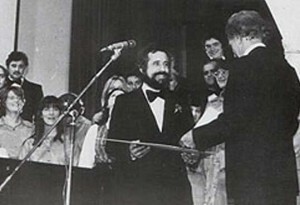 The programme consisted of competition between country brass orchestras from Timok area (The III festival), competition of haiduk Veljko’s bachelors, folklore performances followed by counselling and musical programmes. In the IV Festival The Society of composers of Serbia and “Stevan Mokranjac tender” for new choir works were included in the manifestation. The choir compositions awarded on the tender were for the first time performed during “The Day’s of Mokranjac”. 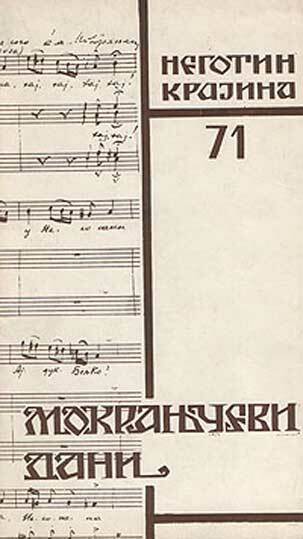 During 12 years of the festival the amount of new choir compositions reached the number of about 170 (the last award was granted in1986, when the tender was regrettably closed). The festival in its fourth year received the first orator and from that year forward ORATION remains in the programme as the solemn act of opening of the Festival until today. 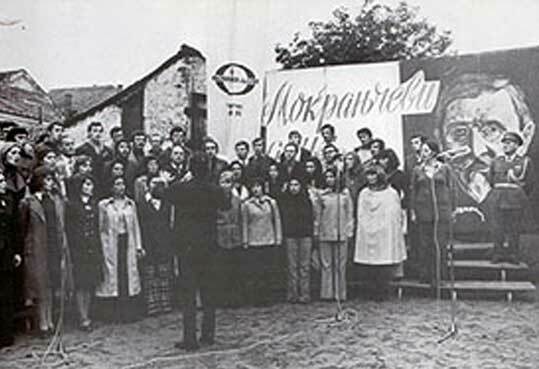 The V Festival, as the result of an agreement of about hundred workers from public domain and culture throughout the Republic, in 1970, “The Day’s of Mokranjac” leaves local frames and gains the character of the republic manifestation. That year the Republic committee was constituted to take care of conception and organization. In the following years the programme related to the fair is being reduced and for the first time there are chamber orchestras among participants. The competition of country brass orchestras was held that year for the last time. The VII Festival, held in 1972, was completely separated from the fair and “The Day’s of Mokranjac” became the manifestation with programme scheme which includes: choir singing, musicology, ethnomusicology, chamber music, authentic folklore, musical creativity, art exhibits and other following performances and activities (publishing). That year the handcraft products exhibition, obligatory until that moment, was organized for the last time. In 1972 the programme was for the first time supplemented with theatre play. Children’s theatre “Boško Buha” from Belgrade performed the musical “The cake with five levels” written by Dobrica Ćosić and Konstantin Babić. The Festival tried to embrace music, fine arts, literature and theatre. The IX Festival, held in 1974, for the first time introduces the OUT SINGING OF CHOIRS as the part of the festival. From 1974 the Out singing is the most attractive part of the programme. 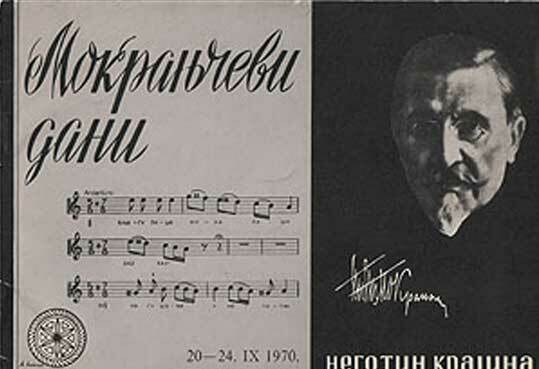 Authoritative jury appointed the Association organization of composers of Yugoslavia. The participation in out singing and winning was one of the steps in the affirmation of already prominent choirs. The XII Festival was one of the obvious examples of absolute harmony of the Festival with society system which through time embraced its development, following changes and characteristics of society in that moment. That year (1977) one entire evening concert was dedicated to the celebration of comrade Tito, the Party and revolutionary syndicates. Partisan songs from this part of the country were performed on the night of authentic folklores. 9. January 40. Festival 41. Festival 42. Festival 43. Festival 44. Festival 45. Festival 46. 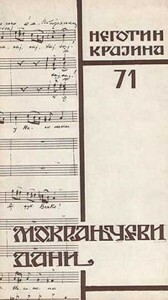 Festival 47. Festival 48. Festival 49. Festival 50. Festival 51.Festival 52.Festival 53.Festival 54. Festival Festivals 1966-1990. Festival through time Gallery Magazine "Mokranjac"
© 2014 Festival "The days of Mokranjac". All rights reserved.